Schurz was born, raised, and educated in Germany. A participant in the failed German revolution of 1848, he was imprisoned, but escaped and immigrated to the United States (1852). He was an abolitionist and served as a brigadier general of volunteers during the Civil War. After the war, he was an advocate for the rights of liberated slaves. 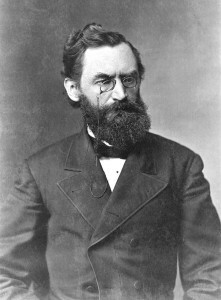 He was a journalist for a time, then served as a U.S. senator from 1869 to 1875. He was secretary of the interior (1877–1881) under Rutherford B. Hayes and pushed for civil-service reform and a more humane Indian policy. In the 1880s, Schurz returned to journalism and the crusade for honest politics.